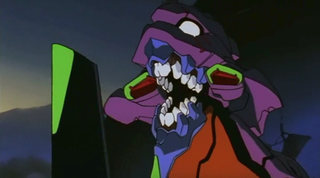 Will Michael Bay Direct A Neon Genesis Evangelion Adaptation? If the possibility of Michael Bay directing a live-action adaptation of Neon Genesis Evangelion fills you with a mixture of confusion, curiosity, and (mostly) dread, you are not alone. The rumor is just that at the moment, but according to the Korean gossip-news site Kdramastars, Bay hinted at a particular series after being asked what he wanted to do once he's finished with the Teenage Mutant Ninja Turtles. Michael Bay then responded by saying "I don't know if you are familiar with 'Evangelion' but that's one movie that I want to direct". When asked if Michael Bay is working on the Neon Genesis Evangelion live action movie right now, he just smiled at the journalist who asked him that question. The thing is, the site sources the news to something called the Transformers News Center — a thing that doesn't seem to exist (unless there's something lost in translation). So for the moment, there's a good chance this is bunk. On the off chance it is true, though, I'm not quite sure what the series would turn out like. For one, the actions scenes would probably be top-notch, and the Evas would look amazing. On the other hand, all of the crazy high-concept stuff Evangelion is famous for might get left on the editing room floor in favor of more sexual tension between Shinji and every woman in the series. How do you think this would turn out?